Design/Build services exists to provide alternative facility solutions to clients throughout the the business sectors in Columbus, Ohio. 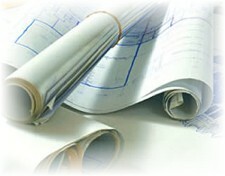 Your commercial construction project success will be accomplished by selecting the appropriate project team members. Our comprehensive project delivery system can integrate any or all planning, financing, acquisitions, design, engineering and construction activities under one contract for total project responsibility. This integrated approach where all team members buy into the success of the project provides for an efficient project delivery system by reducing time, risks, redundancies in fees, administrative costs and contingencies. In addition, project objectives are developed simultaneously with the design and financial comparisons necessary to support facility decisions. Every project requires specific technical knowledge and expertise to support the planning, design and implementation activities. Paramount Construction and Remodeling, LLC has architects, engineers and contractors who are able to tackle any commercial project. We recognize that our clients have resource specific requirements, internal resources and previous professional relationships. Our association with a wide range of pre-qualified specialists in the Columbus, Ohio area including other architects, engineers, contractors and subcontractors provides our clients with appropriate and additional resources. If you are looking for a commercial design/build contractor in the Columbus, Ohio area please call us today at 614-471-3924 or complete our online request form.